Once again I’m trying to ramp up my releases when it comes to Themes by bavotasan.com. My latest theme is called Arcade. It has a great big full-sized header image and uses some cool type effects on the site name. Check out the Arcade demo to see it in action. Bavota San can you make wordpress theme that can support bilingual dictionary? I am trying to make a dictionary website based on wordpress, so far I can not find the right theme. Question! I love your theme but have no use for the “From The Blog” section. How to remove bud? I hope the author will not be unhappy for this suggestion. I love the theme. I was wondering what font you used for the page title…love it. Is there any way to change the font type font (megrim) in the header? If you are using the premium version there is a Font section in the customizer where you can change the font. You can set certain posts and pages as full width to remove all sidebars. But the theme is built to have at least one sidebar on most inner pages. Is there a way to set target as blank (open link in a new tab) for the Arcade basic icon and text widgets? Thanks for the reply, but I’m no coder. Any chance of it being included in an update? There’s an option to select a different header icon under the Site Title & Tagline section in the customizer. is it a way to add my own icon? Only by manually editing header.php. Congratulation for your theme Arcade. Is there a way to change the “see more” logo at the begining of the page ? Ok i found my answer. It is in the file Header.php. Yeah. The only way to change it is to manually go into that file. 1. That should be your site title. If you don’t want it at all you would have to manually remove it from header.php. 2. Any color change you want to do that doesn’t have a customizer control requires some custom CSS. 3. Edit the header template same as #1. Hi! I met some problem. It shows full article at my blog, and that means i have no need to click the “read more”button to go in. what’s the problem with it? it’s very awful..pls help me. Can I see this live? I found it alrdy, Thank anyway! When posting, just insert the more tag function and it solved my problem. Awesome Theme! I have a q before upgrading (I REALLY LOVE THIS DESIGN). I would like my logo on the header instead of the fonts and icon. Is that at all possible? I assume I would need to change something in the header.php in editor. Could you point me in the right direction? In the premium version you can upload your own logo, which replaces the site title. You can also just remove the icon and it will disappear. As for the tagline, you would have to leave that text field blank in order to remove it. You would have to write some CSS and use that pages unique class name which is attributed to the body tag. Look at the source code to find it. oh i have no idea how to do it =( do you know if is there any pluging that can help me out? Thank for a beautiful theme! I would like to duplicate the scroll effect you use on the home page when you click: ‘see more’ onto other links in the site. How is that triggered? Also, is there a full-width template for inner pages or just the home page? I use the jQuery animate function with scrollTop. If you have the premium version you can use the full width layout option on any post or page. I have a problem with the sidebar: if I choose a static page as my front page, the sidebar still doesn’t appear. No problem for the inner pages tho. That is by design. The front page is not designed for a sidebar at all. Sidebars do not appear on the home page unless you have set a static front page. Does it mean that the TOP widget bar doesn’t appear unless…? I read that it takes some code changing but some reason I did not find that place? Also, in a screenshot in WP theme selection there is a picture where post pictures are seen in frontpage with posts first words, but I don`t get how to make those to be seen. Pics shows as in inside the whole post but not in preview? The easiest way to do that would be to look for a plugin that opens all outside links in a new window. Otherwise you would have to mess with the widget PHP file. To add images to the front page, set the post’s featured image. There are instructions in my documentation section. Thank for you time, love you man! Thanks for your template, this is great jobs ! In my portfolio i need click in the title for open the page. When i click in the picture there is nothing ! Can i change that please ? i need to click in the title for open the page. When i click in the picture there is nothing ! Can i change that please ? Do you mean the large image on the home page? It’s not clickable on purpose. no, i speak about the pictures in my portfolio in the diff�rent categories. “La confr�rie” for example. It’s hard for me to know what you mean without seeing a live example. What is your URL? Those are images you have added to the post content yourself. And since you haven’t added a link they don’t have a link. Try setting the featured image instead. Hi – The sidebar will not appear on the main blog page. Can you please tell me what to do? Thank you. That is by design. You can only have a sidebar on the home page if you set it to display a static front page. I love this theme; it is one of the best ones I have come across in recent years for WordPress. Very easy to maintain and code with. However, we are adding a wooCommerce shop to our site, and while many of the pages work, some of the shop pages bust the layout. For example, the main shop layout doesn’t load the header image, and the content area and sidebar widgets are hard left aligned. But, the my account page, category and product pages work fine. It’s rather perplexing. Have you ran into this before? If so, what was the solution? I haven’t tested out that plugin so I can’t really say what the issue might be. Though it sounds like their template doesn’t use the same containers/classes/IDs. When I upload a header image, it doesn’t show the whole image and becomes blurry. I’ve sized it to suggested pixel dimensions, and it appears clear when editing in photoshop and as an image file on my computer. Is there a solution for this or a way to manually set width/height? The image I use is actually 1800 by 600. Create an image that size and then ignore the crop option when you upload it as the header image. Thanks for the pixel dimentions. How do I bypass the crop option? The only options I see on the header screen are to select the full width of the box and “Crop and Publish” but it crops my image, even though I’ve selected the entire thing. You should see two buttons after you upload the theme. How do I move the see more button down lower in the header and how do I change its colors? Both can be done using CSS. The selector is #more-site. I would like to change the wording of the text of the “See more” button on the home page. Thanks. Gorgeous theme! You would have to open up header.php and modify the code directly or use a .PO file to translate the string. Hello, love, love, love the Arcade Theme. I thought I would try setting a custom header for one of my pages. Instead of adding a custom header to that page, it completely removed my header and the WP toolbar from the top of the screen. It also removed the arc from the site title. I can’t seem to figure out how to get it back – all the settings are showing the header image, but it’s not on showing up on the front end. Any ideas? Thanks in advance! Are you using the basic version or the premium version? Can I see this live? I started with the basic version first to test the waters before upgrading. You may view it at http://www.mylittlelovie.com. I have also noticed that whatever happened caused the “See More” button to stop functioning properly. Thanks so much! Turn off all your plugins. See if one is causing an issue. I upgraded to Arcade pro a couple of days ago. As per everybody else here I love your theme and as per everybody else I also would like to tweak it a little… My client clairejaynesawyer.com/wp/ would like to have their logo in place of the heart – can you advise on how this might be achieved…? There is a logo option in the customizer but it would replace the site title. If you want to replace the icon, you would have to modify the code directly. Open up header.php. For more info on how to do this please use the support forum. On the homepage how do I remove the site links (listed in bullets) in the light grey area below the Jumbo Headline? Not too sure which area you are referring to. You’ve added a widget to the Home Page Top Area. Remove it on the Widgets admin page. Is there a way to add more icons?? You could enqueue any other font icon file but that would require writing your own function to do so. Hi – I want to upgrade to the Premium Arcade theme but have added a new header image and done some edits to the theme (through the theme customiser). When I upgrade will these edits be lost? How is it best to upgrade? Upgrading to the premium version will require that you set things up again using the customizer. Nothing gets carried over in regards to the theme options. My site is all designed and I’m digging everything. The first issue is when I view on certain mobile devs the site title(“The Us Spirit” which naturally is much larger than “Arcade”) actually wraps in the viewport. I can see the wrap happen if I decrease my browser size as first one letter will wrap to stay in view and then the next as I continue to decrease it. Is there a way to edit the viewport settings to just zoom further out to allow the entire site title to stay in the arc view? The other issue is in relation to the music player I’m using. When I allow the creator site to host the player it shows up on mobile devs no problem. When I installed the player to my server, no it no longer shows up on mobile devs. Any ideas? I discuss site title options in this discussion: https://themes.bavotasan.com/support/topic/site-title-not-responsive/. I don’t know anything about the music player you’re using so I can’t really say what the issue might be. Best to contact the person who created it. That’s amazing! Thanks for the quick reply. Can I recreate that code with multiple different sizes in px in efforts to allow the font to be as large as possible depending on the device, say iPhone vs a larger screen android phone? Or will that not work properly? Thanks again. I want to order a category of posts alphabetically. The codex says I can do this in the category.php file right before the main loop. Where would I find the equivalent of this in the Arcade files? Thank you for this awesome theme. This is better left to a plugin. Search the WordPress.org plugin directory to see if there is one that offers the functionality you’re searching for. Hi! Loving your theme 🙂 Just a question – on March 13th you said “You can only have a sidebar on the home page if you set it to display a static front page.” – however it still doesn’t load a sidebar on the homepage, even with a static front page. I know you said previously that that is on purpose, but your comment on the 13th makes it seem like you changed it so that you could have a sidebar on the homepage. Just wondering if you did in fact change it or if there was a way to have one inserted on the front page. Thanks so much! I see in your Changelog that you did in fact change it, but it still isn’t working for me. Did you only change it for your Premium theme or for the basic one as well? Where in the code would I go to change this? It has been fixed in the current premium version that is available and will be fixed in the next release of Arcade Basic on WordPress.org. Basic versions take a bit longer to come out due to the review process on .org. Thanks so much! I’ll just wait for it to come out then – any idea on how long that might take? One other final question – I want to change the header image height for inner pages since the settings it is at right now cuts of my image in a weird spot. How do I make the header image the same size as on the homepage for all of my subsequent pages/posts? Thank you so much and cheers on making such an amazing theme – it’s the best one I’ve found! The nav uses Bootstrap’s navbar-inverse class so you can see on their site how to modify things. In the premium version, is there an option to upload a header for the front page and then a different one for the pages with the smaller header or does the theme automatically crop/resize it? Is it possible to put a button up in the navigation/social media bar? You can set a custom header image on posts and pages, though it will shrink down to a smaller size on every page other than the home page. There isn’t currently an option to add buttons to the nav menu. That could be easily done though using some Custom CSS to just style one specific menu item differently. Hi – Just to clarify when I upgrade Arcade will my original (demo) version of Arcade still be there in Themes or will it all be overwritten by the premium version? – I will need to make sure I note down all the amends if things are going to get overwritten by the premium version. Both versions will still exist and neither will overwrite the other. Began working with it today…Any suggestions? hey i was wondering if there is a way to have one of the top menu items jump link to the blog? If you have a blog page set up, you can create a link to it in the Menus admin page. You can actually create any type of link you want. If where you want to go isn’t an actual page or category, you can use the Links panel to create a custom link. is there a way to change the front page font (title and tag line) from white to another colour on Arcade Basic? That options is available in the premium version of Arcade, otherwise you would have to mess around with the CSS. How do I handle image distortion here? Upload a larger image. You have an image that is 530px being blown up to fill the width of the browser window. Arcade Premium – I have a problem with the Footer Copyright info as the links don’t seem to work. What version are you using? Free or premium? Hi – I don;t see my original question here to reply to but the footer problem is happening in the Premium theme but a child theme version of it. You might have to make sure your child theme has all the updated code. If you have a footer.php file replace it with the default one in the latest version of the theme. Nice theme, great example of modern “flat” webdesign. Really nice design, but i can see the demo version. how in the world do you do this. i tried creating another template page trying to remove sidebars, but there are no “sidbar” tags and removing any “bavotasan” template checks screws the whole page. i want to be able to have some pages with the sidebar, and some without. how do i go about doing so? This option is only available in the premium version. All you have to do is check the full width layout option when you are editing your page or post. But the design of arcade basic is made in such a way that the front page is completely out of proportion and theres a “see more” button, which i don’t want since it doesn’t work with the music store plugin i have on my website. NO RESULTS WERE FOUND. PLEASE TRY AGAIN”. appears. Can you please tell me where or how to set my front page to be as shown in the link and avoid the “effect” that is part of the theme? Is there a way to show the featured image on the single post as well? Love the theme, but I have three customizing questions. 1) Is there a way to center my widgets on the home page area? I want them to be nice and symmetrical. 🙂 I’ve looked in the stylesheet and the frontpage.php, but no luck yet. 2) I’d also like to get the featured image on top of the actual post as well. I found some code snippets, but they were a bit outdated, so I wasn’t sure if they’d work with this new theme. 3) I figured out how to change the from the blog text, but I cannot figure out how to put a link under it. I tried several php/html combinations and I keep getting errors. I want it to link to the 2nd page of the blog. This are questions for either the WordPress.org support forum (Arcade Basic) or my support forum if you have a premium license. Hi, this is a great theme! but I’m having one problem. My website name is pretty long, A Wandering Scribbler, and when I adjust my browser size, or view it from a mobile device, the title doesn’t adjust the size of the letters, instead criss-crossing over themselves. Is there any way to make the letters responsive in size rather than position? And is there an easy way to have one header image for all posts/ pages but a different one for the home page? without manually setting it on every page and post? You would have to write some custom CSS to change the size of the site title on different pages. Hi Bavotasan, love the arcade theme it’s awesome. using the basic version, made a custom page and trying to use bootstrap modal on that page but for some reason it’s not popping up? any ideas? 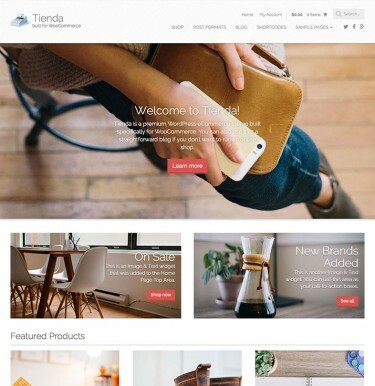 is it possible to add a page for on online ecommerce using your theme? Wanted to look at your support form. I bought two premium templates but don’t have a login or password and the email address I tried to login with didn’t work. It was the email I got the receipt from. Maybe I should use the paypal one? Is there a support form or is this it?